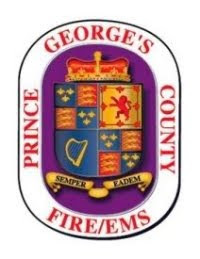 The Prince George’s County Public Safety Assistance Program (PSAP) has accepted a generous donation of food, which will be distributed to furloughed federal employees. Two members of the business community, who wish to remain anonymous, purchased $11,000 worth of non-perishable food products and donated the items to the PSAP. The County’s Department of Social Services, in cooperation with County-based food pantries, will assist in distributing the food. The PSAP is a 501c3 organization comprised of County Public Safety agencies. Each year, the group collects food-related items and donations that are delivered during the holiday season to needy families within Prince George’s County. In 2018, the PSAP delivered nearly 3600 food baskets. The PSAP consists of the Fire/EMS Department, Police, Office of the Sheriff, Department of Corrections and Homeland Security. Prince George’s County Public Safety leadership will meet as the donated food products are being prepared for delivery to food pantries. Media is invited to attend this event. Plenty of photo ops and interviews will be available.